STUNNING, CREATIVE, AND UNBELIEVABLE! 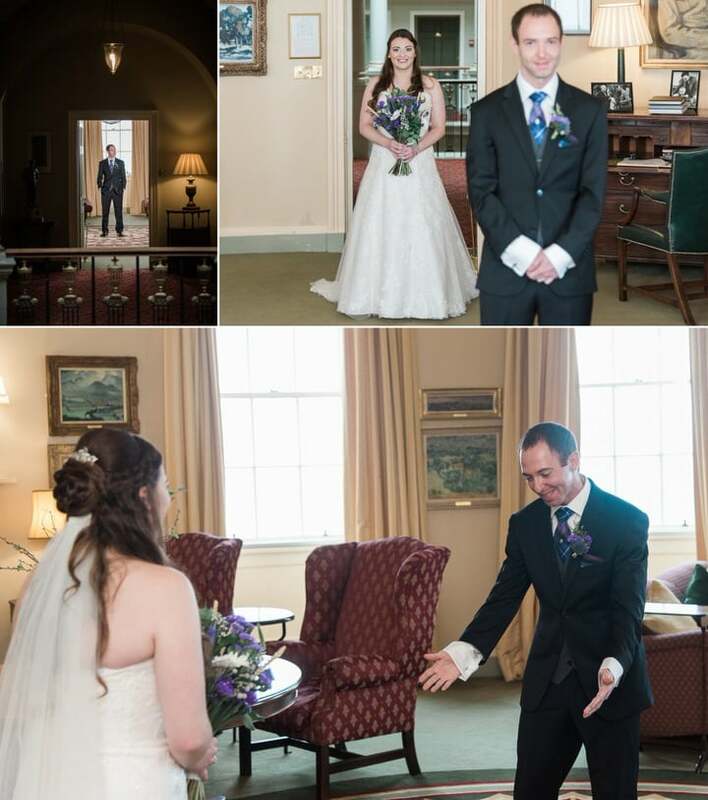 THOSE ARE JUST A FEW OF THE WORDS I’D USE TO DESCRIBE OUR WEDDING PHOTOS. 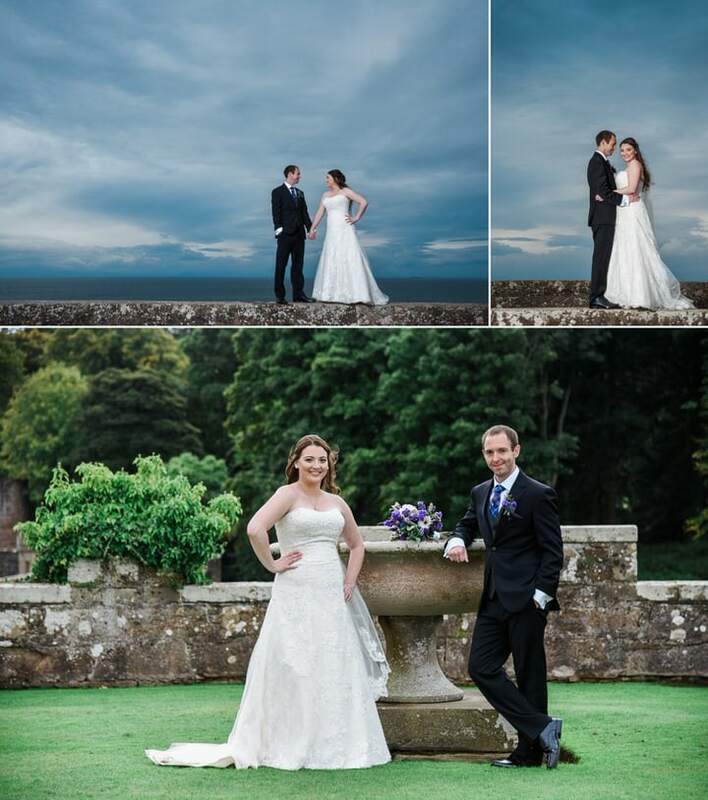 When Brittaney and Michael first got in touch with me about their Scottish elopement in Ayrshire, I was so excited – they were planning the most romantic and stylish wedding with an intimate wedding at Culzean Castle in South Ayrshire. 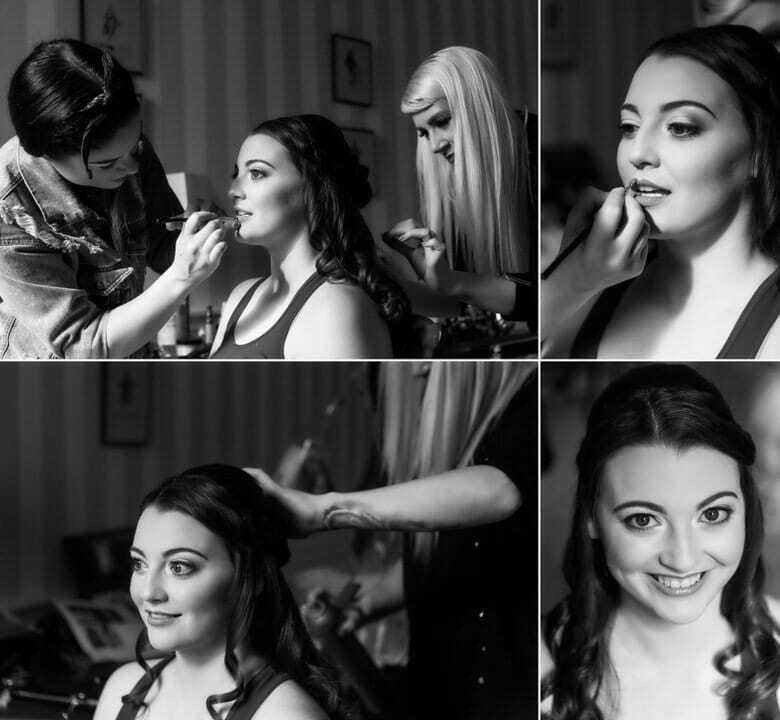 Brittaney and Michael seemed like the loveliest people and I couldn’t wait to shoot their wedding! 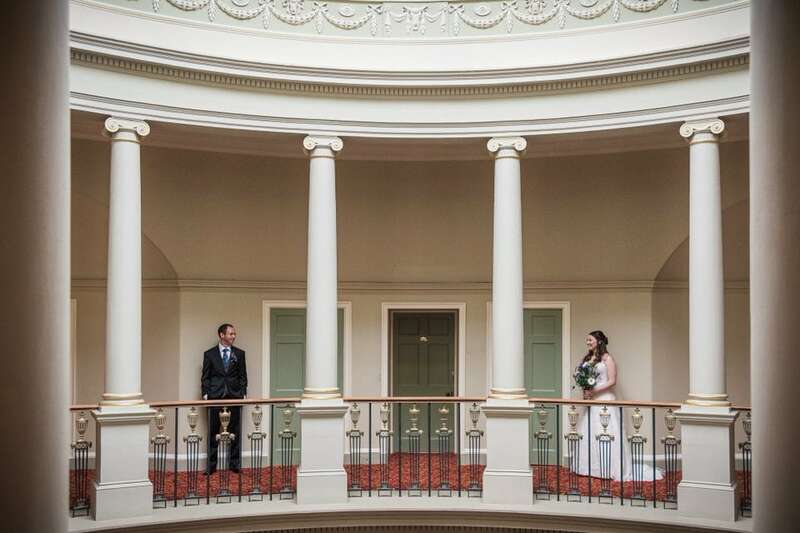 Brittaney and Michael live in the America and wanted to combine their wedding with their honeymoon. Both of their families have ancestral ties to Scotland. 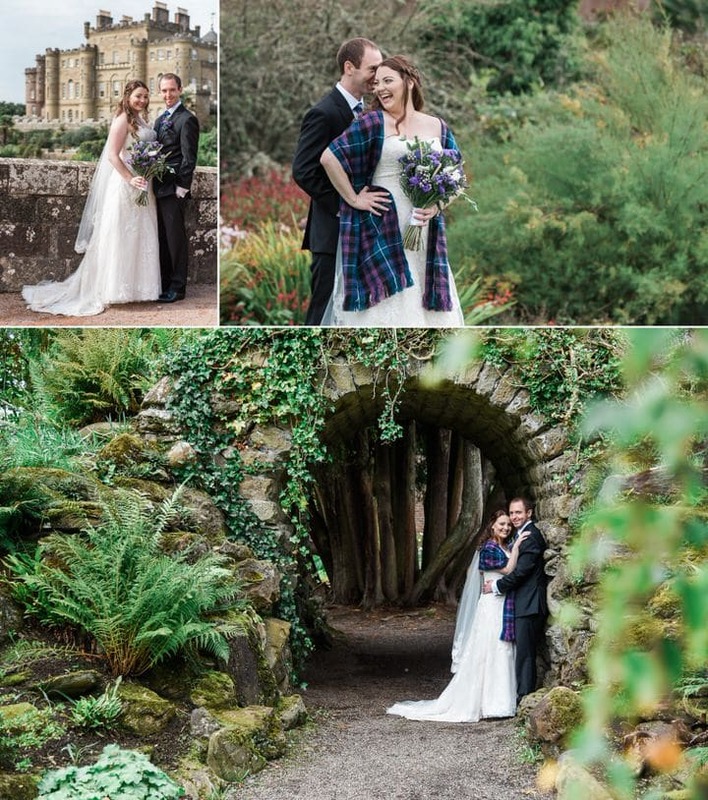 Brittaney loves all things historic and Mike is an avid football fan so Scotland seemed like a natural choice. 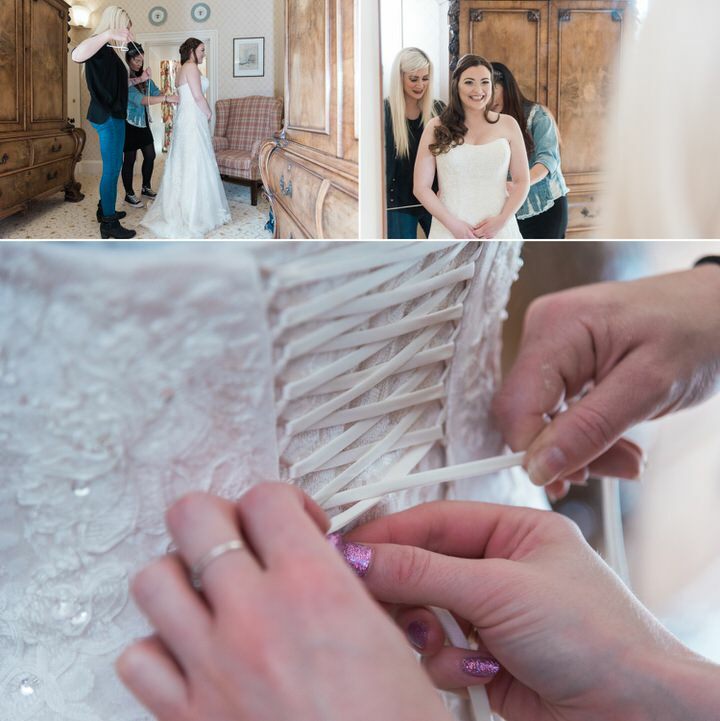 From there, they were looking for an all inclusive elopement package for two and something that was going to be easy to book and coordinate from overseas. 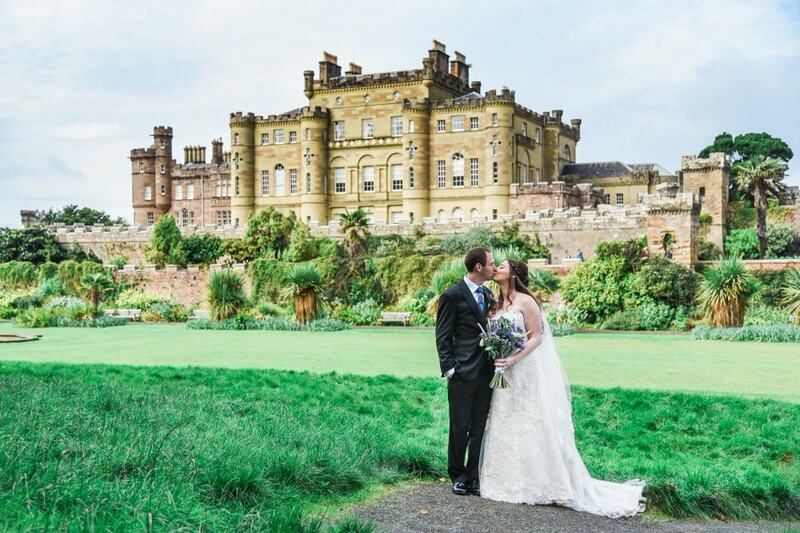 A wedding at Culzean Castle couldn’t be beaten. 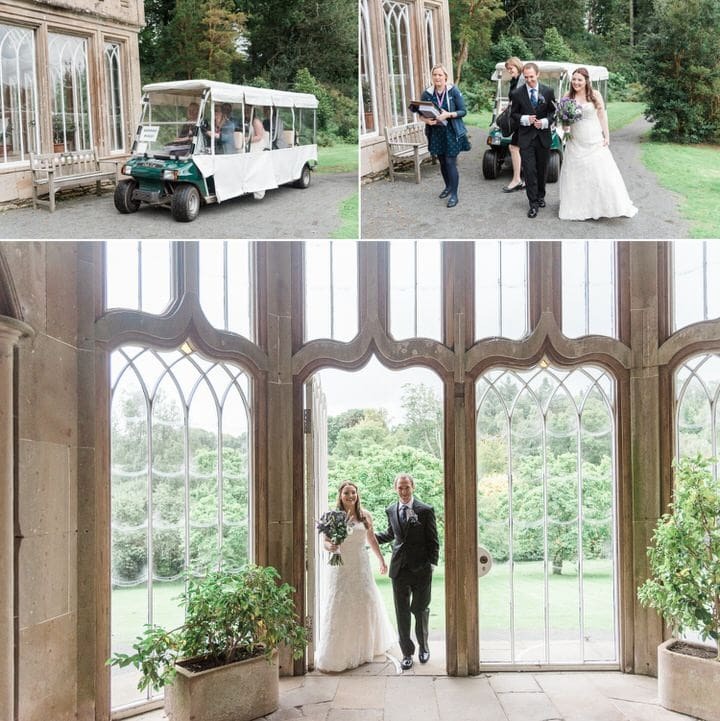 It also offered so much in the way of scenery that we knew we could have a spectacular day and beautiful photos. 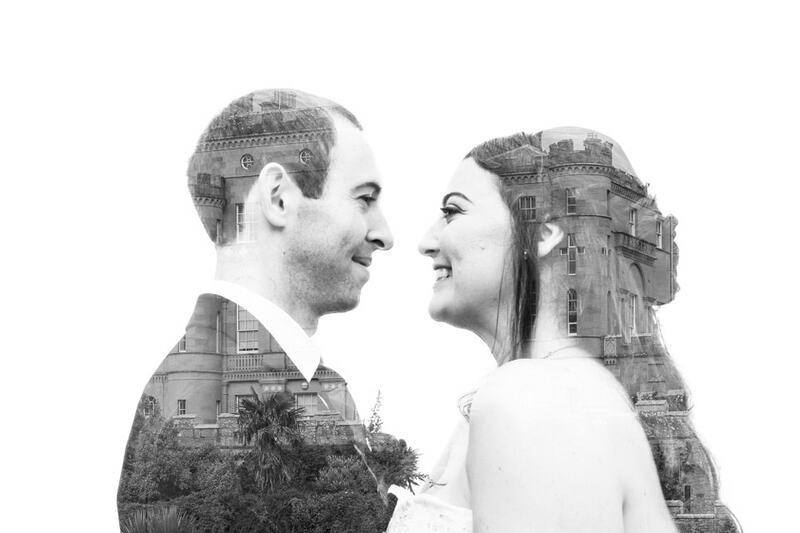 I turned up at The Eisenhower at Culzean Castle, where the couple were getting ready, and it was so relaxed, partly because it was only the two of them and partly because everything had been so well organized. 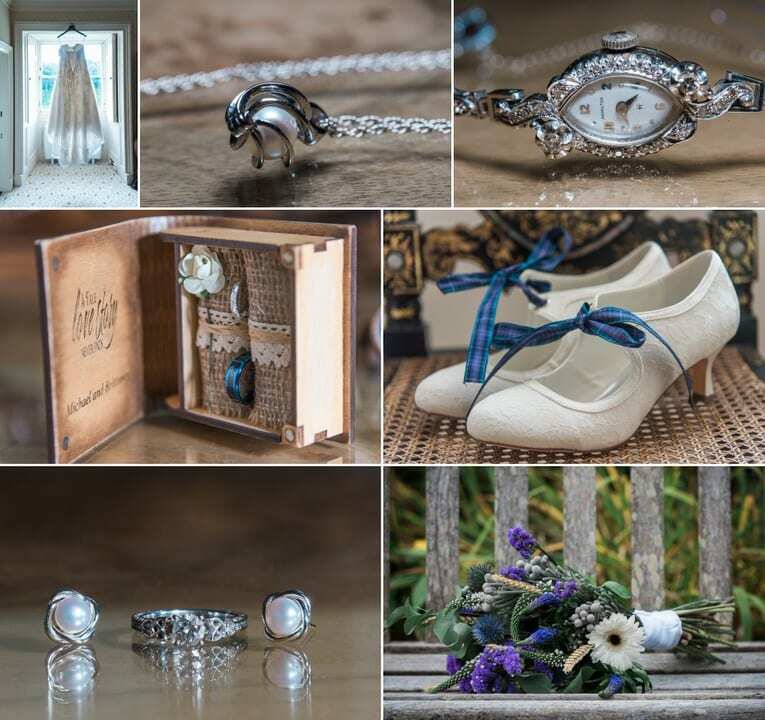 Brittaney wore a stunning white wedding dress with very personal accessories including a watch belonged to her late grandmother and a necklace which was a gift from her late grandfather. Michael wore a smart three piece suit with really cool Star Wars cufflinks. They both looked so incredible. 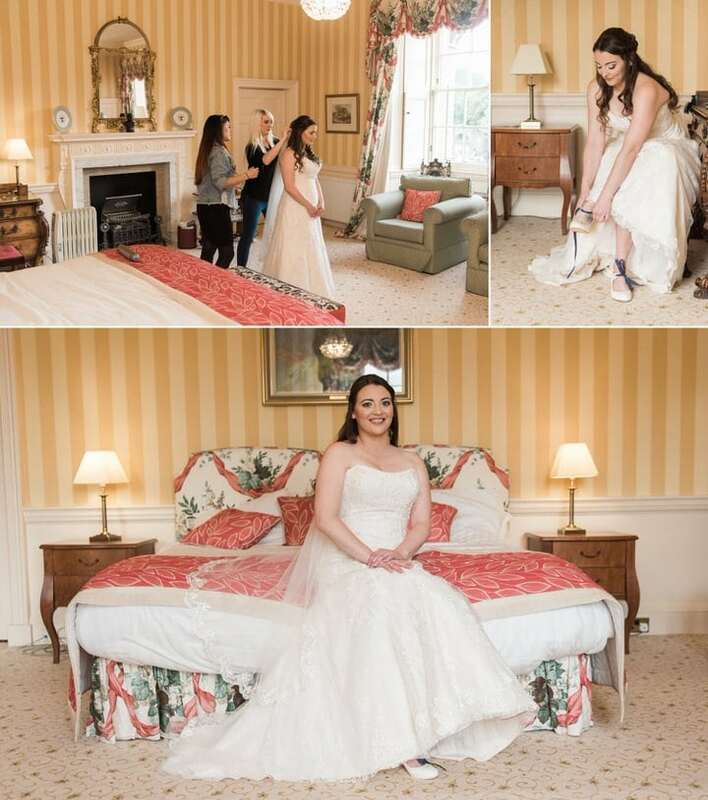 As Brittaney and Michael are from the USA they chose to have a ‘first look’ before their ceremony. 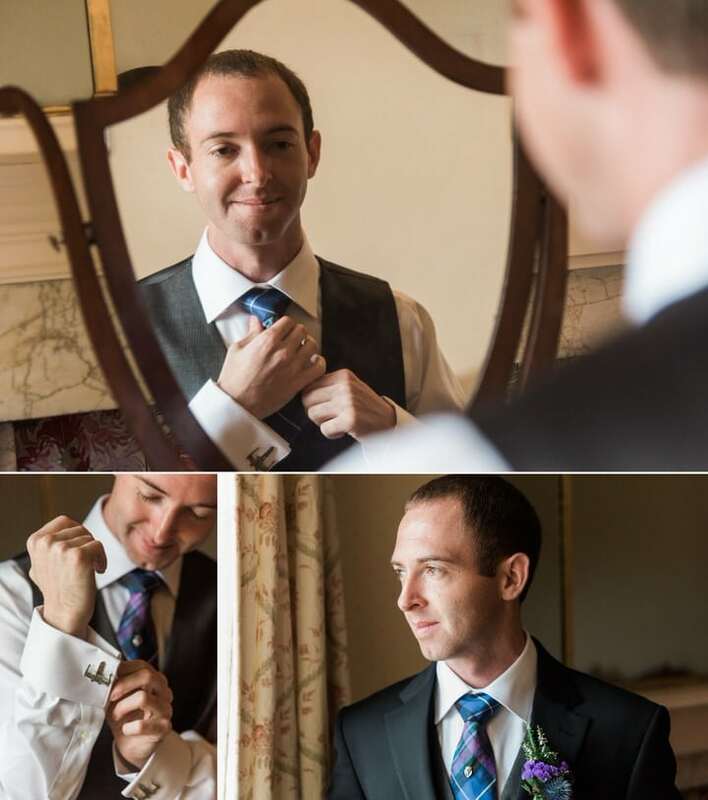 This is a US tradition, the first look is a moment a few hours before the ceremony where the bride and groom get to see each other for the first time on their wedding day. 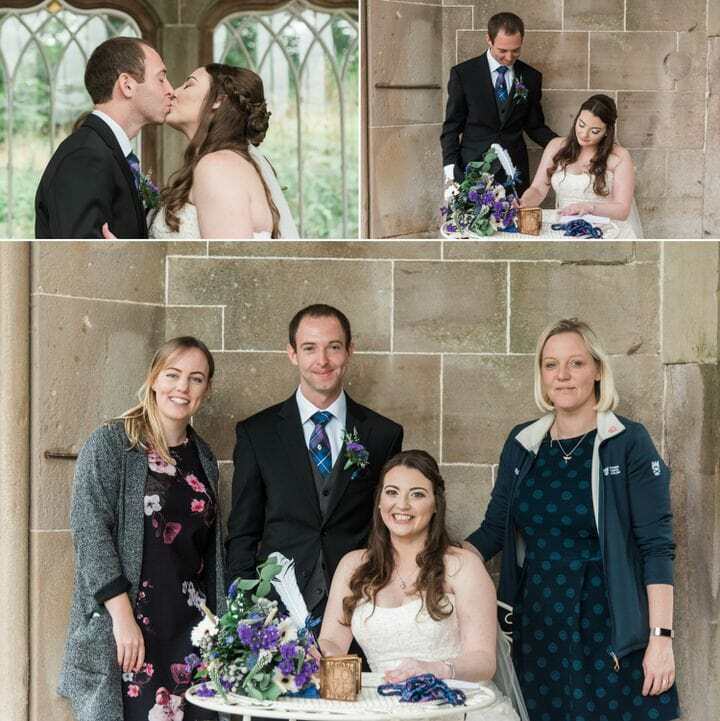 It is usually pre-arranged with their wedding photographer in a quiet place away from family and friends to capture that moment just for them. 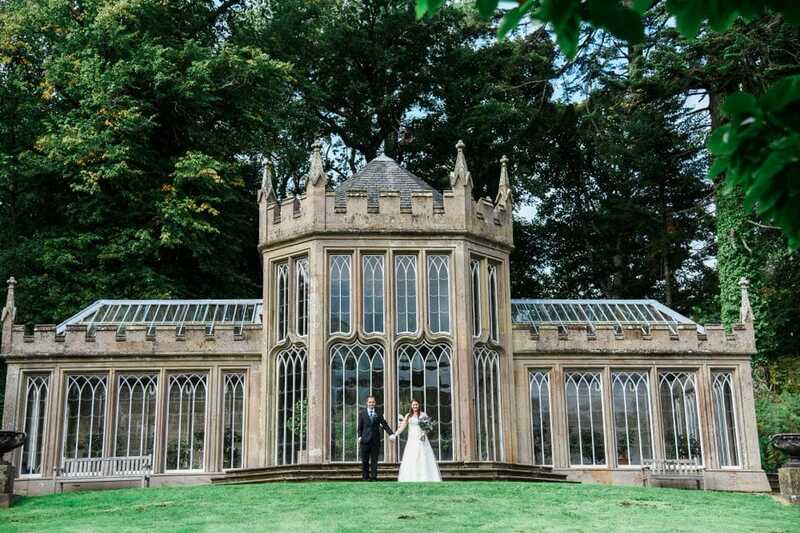 The wedding took place at Camellia House, which is located within the extensive grounds, it is a Victorian Folly which is constructed from ornate stone and glass. 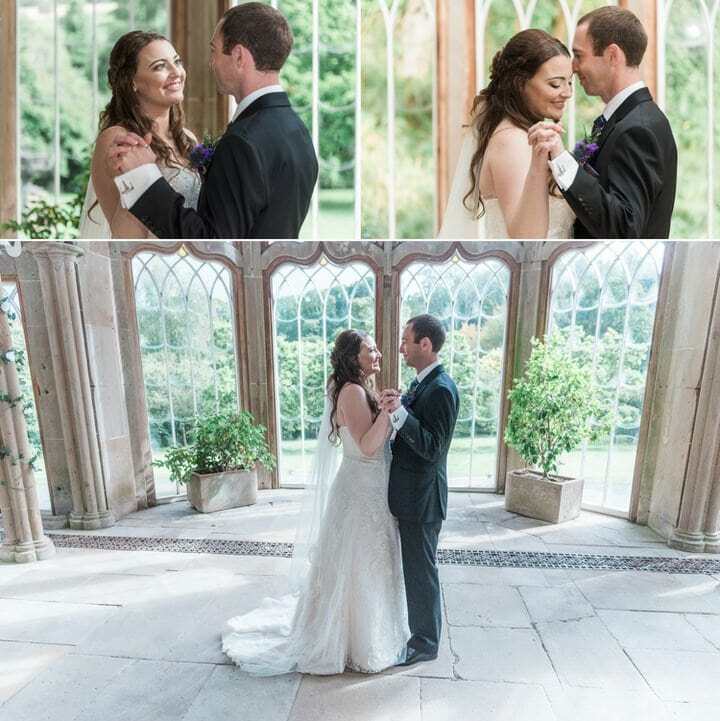 It was an incredibly romantic location for their intimate ceremony. 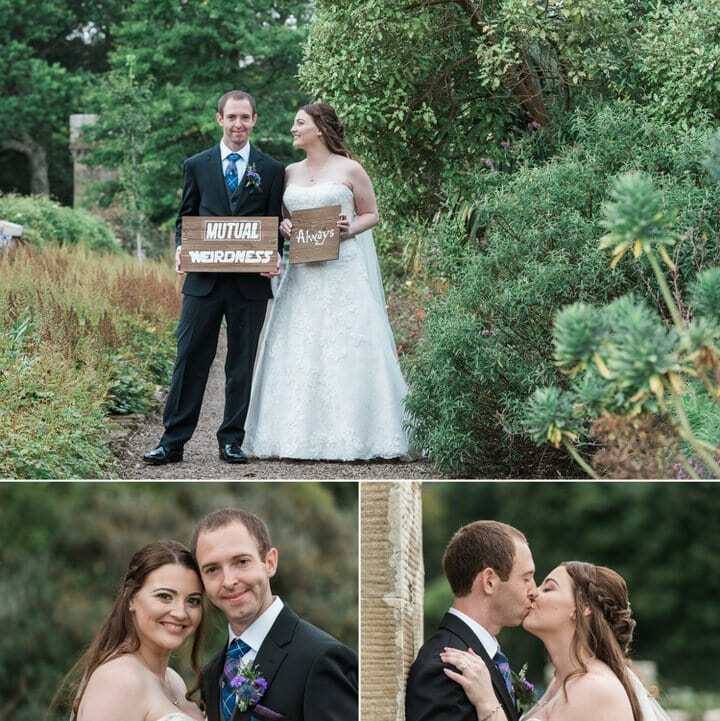 They exchanged personalised vows and then had a traditional Scottish hand-fasting, which was just magical. After the ceremony they signed the marriage register and then they cut the cake and had a glass of champagne. 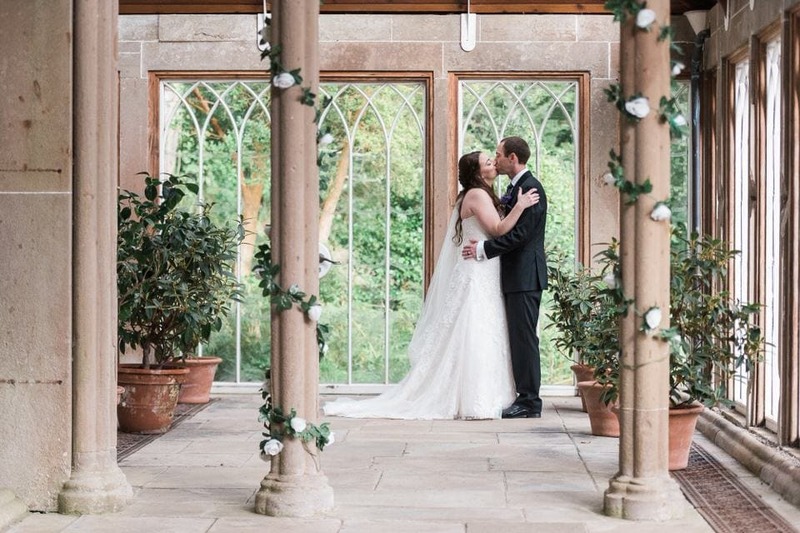 We spent some time in Camellia House after the ceremony as it was a good opportunity to get some lovely indoor photographs. 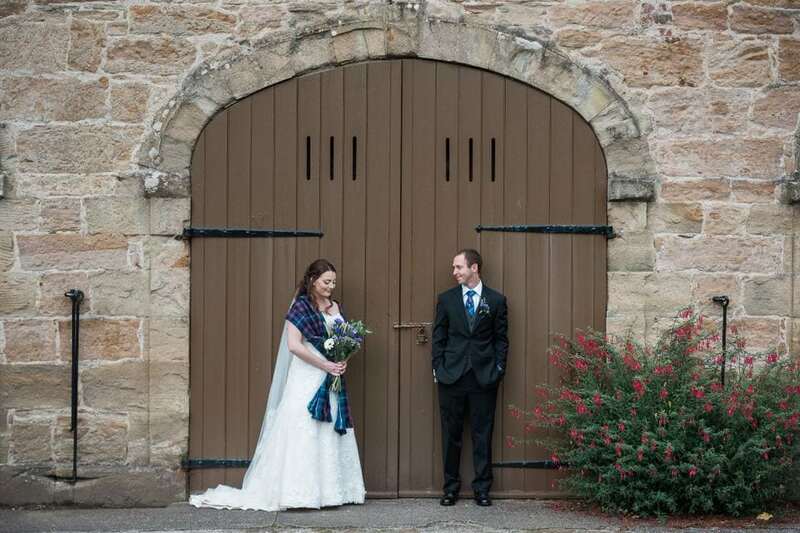 It was a beautifully sunny day, which was perfect for photos and because this was an elopement and there were not any guests, we spent a relaxed time walking around the grounds, chatting and taking photographs. It was lovely to get to know their story and to hear their plans for the future. 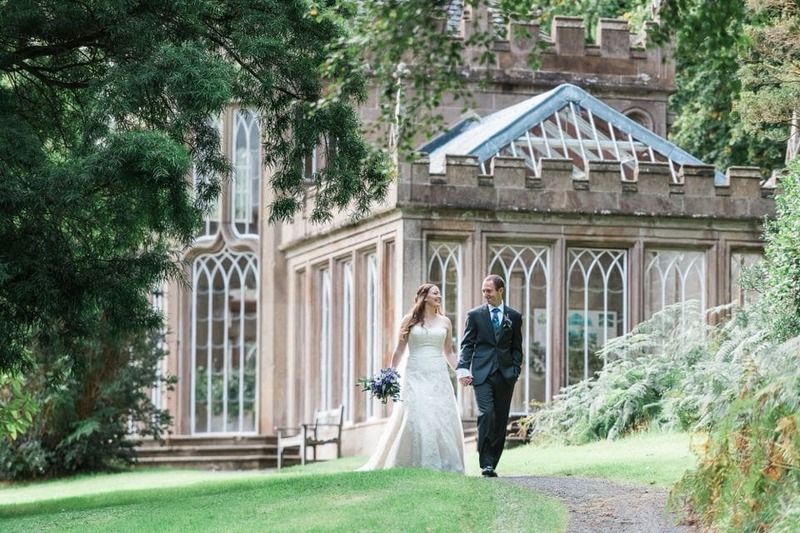 My favourite photo from our portrait session is the moment of joy as they walked out of Camellia House along the path after their wedding ceremony. Brittaney and Michael met met while both working at a movie theatre in Denver, Colorado while in school. Four years later they moved to Northern California together. Michael recreated their first date (going out for the same food and even wearing the same shirt). He then proposed that evening at their home, on the balcony. They watched the sunset over the canyon behind our house before he asked Brittaney to marry him. 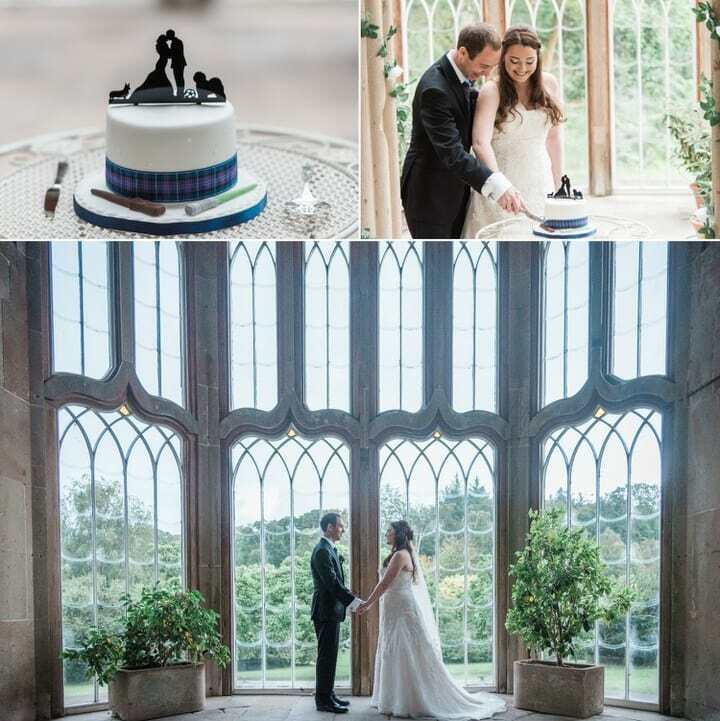 If you’re looking for a creative wedding photographer, get in touch!